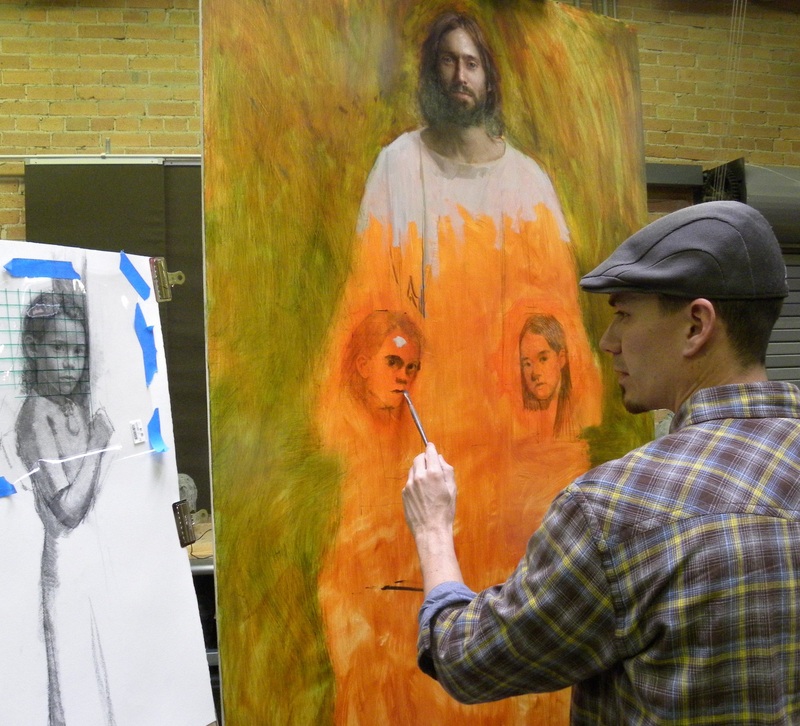 Jeff Hein Transferring his drawing to the final painting. I came into the studio to find Jeff Hein transferring a drawing he had drawn from a live model on to his canvas. The painting is a three figure commission with the figures done from life. 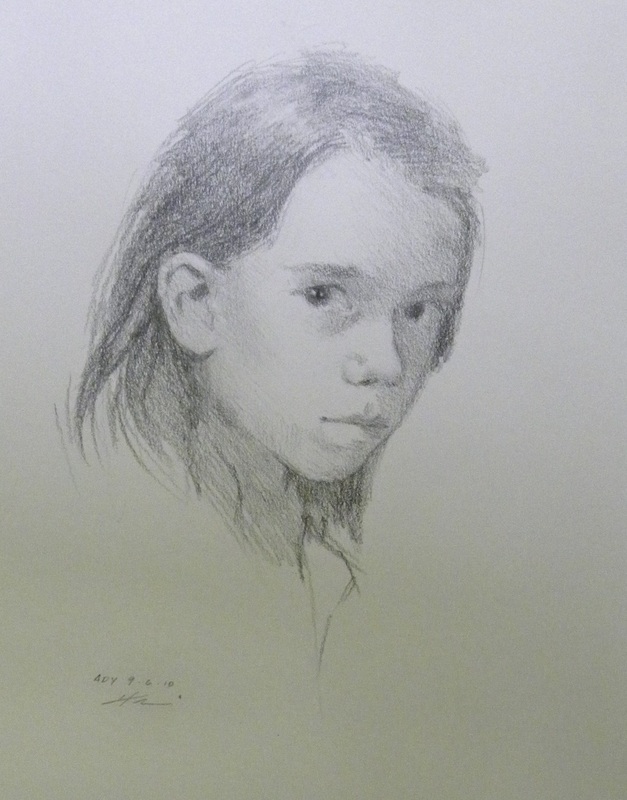 The drawing that he was using as his source was one that he had drawn from a live model, one of his daughters. He explained that a grid system was used atop the original drawing, so that he could be sure that the model was the exact size and proportions that he needed her to be on the final painting. Jeff then started to paint her facial structure in and laying the foundation of her bone structure. When next he had the chance, he would have the model come back in for another session and paint in most of her structure and coloring. This brought up the old Masters and some of their processes. We discussed the methods used by Michelangelo and how his drawings were used as a tool in the process of his final paintings. These drawings were called “cartoons”, and would be drawn the exact size that the finished composition and painting called for. Many of these “cartoons” were destroyed in the transferring process as small holes were poked all along the outline of the drawings and at key points, so that charcoal dust could be blown thru the holes to reveal the drawing transferred to the canvas. Jeff smiled wryly and laughed a little, saying he loved his drawings, so he preferred not to poke holes in them. I would have to agree wholeheartedly. good to see your process Jeff, beautiful drawing of your daughter.